all life on Earth. Nonetheless, for a number of years we systematically destroyed it. This resulted in a big hole in the ozone layer over Antarctica. 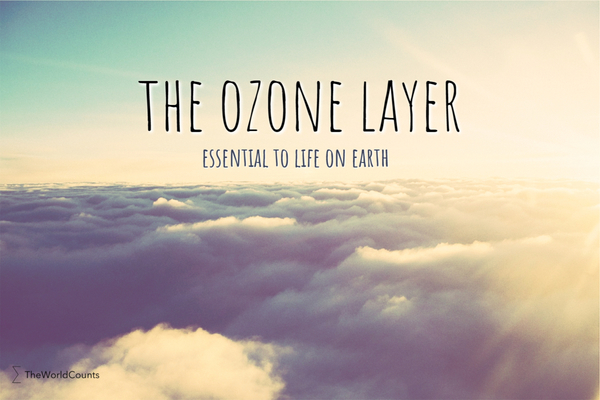 You can get some interesting facts on the ozone layer below. The ozone layer absorbs 97–99 percent of the sun's high frequency ultraviolet light, which is potentially damaging to life on Earth. For a number of years we destroyed the ozone layer by the use of so-called CFC-gases. The hole over Antarctica extended over 29 million square kilometers - more than Russia and Canada combined - and the total ozone loss was the largest on record. It will not be fully recovered until between 2060 and 2075. Earth’s ozone layer has stopped its rapid decline and is now recovering. The ozone layer is expected to return to its pre-1980 levels around 2050. If CFC-gazes had not been banned, large parts of earth would be virtually uninhabitable by 2065. UV-radiation in Washington, D.C. or southern Germany would be up 650% - enough to cause sunburn in just five minutes. Check out the video below to know more on ozone. The ozone hole over Antarctica will not be fully recovered until between 2060 and 2075. The statistic shown assumes it recovery will be complete in 2070. Dr. Newman explains why ozone is important, he cites the ingredients that cause an ozone hole to form, and he remarks on the future of the ozone, pointing to exciting new areas of ozone research, including the role climate change will play in future years. Interested in more facts like the recovery of the ozone hole? Then plug in and subscribe to our newsletter.